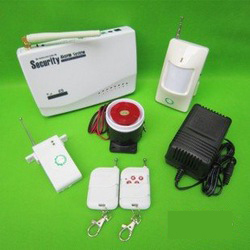 This alarm system can work through GSM net auto-dial to alert. It also can auto-dial five groups of telephone no. and send the SMS in English. It support GSM 900/1800Mh.Arm, disarm, listen in and communicate in two ways with the spot through the telephone.